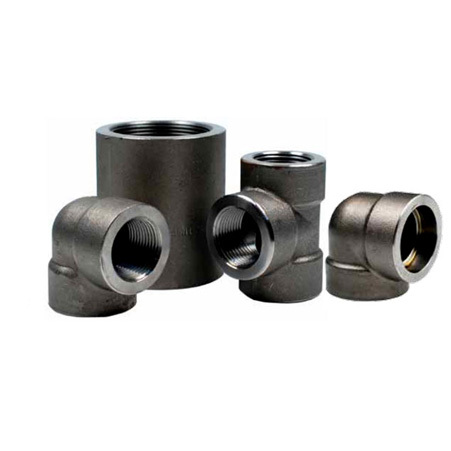 Carbon Steel A105 Socket Weld Fittings, ASTM A350 Carbon Steel Socketweld Elbow, Carbon Steel A105 Threaded BEND, Carbon Steel Threaded Forged Cap Manufacturer and Suppliers In Mumbai, India. Amco metal is the top manufacturer, supplier and exporter of carbon steel forged fittings, industry engages in offering the wide range of carbon forged fittings, aims to provide safest and trusted quality of fittings as per esteem of clients. 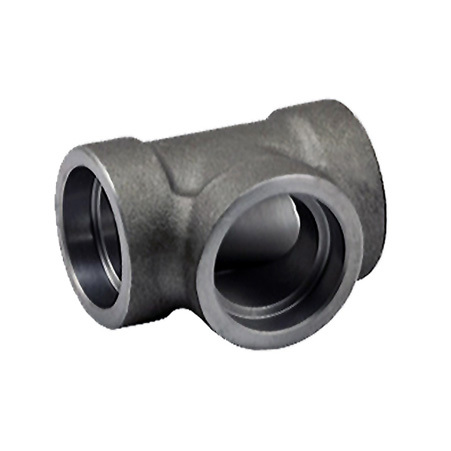 CARBON STEEL A105, A350 LF2 FORGED FITTINGS are fabricated by using prominent quality of raw materials with the use of sophisticated technology by our experienced professionals. These fittings have some extremely outstanding features like high durability, robust construction, high strength, low-cost maintenance, precisely designed or many others. These fittings offer great resistance to corrosion. Carbon steel forged fittings are capable to wear high temperatures with minimum deformation, formulate this safest option for engineering application. It gives optimum performance to impact loads with resisting buckling and crushing. Its formability property is ideal for fabricating complex machining components with low machining cost. ASTM A105, A694, A350 LF3, A350 LF2 is the specification of these fittings. These are manufactured by the metal forging process, Finishes by Matte, BA, hairline and bright black polish. 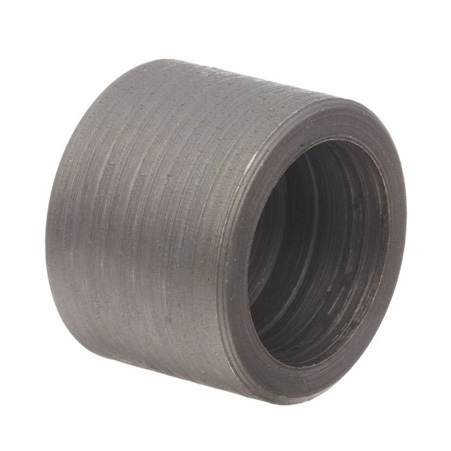 Size varies from 1/8” to 4”, socket weld, screwed, NPT, BSP, BSPT, thread fittings are shapes of CARBON STEEL A105, A350 LF2 FORGED FITTINGS, these can be customized as per specific requirements. F42, F46, F52, F60, F65, F70 is the grade of following fittings. Cease products are inspected by various test some are radiographic test, intergranular corrosion test, positive material test, flattening test, flaring test and many other. These are pack in wooden boxes. These are the specification of CARBON STEEL A105, A350 LF2 FORGED FITTINGS; you can buy these premium quality fittings from AMCO metals. Kuwait, Israel, Yemen, Austria, Taiwan, Serbia, Ghana, Saudi Arabia, Turkey, Belgium, Indonesia, Tibet, Thailand, Chile, Hungary, United Kingdom, Hong Kong, Namibia, Afghanistan, Nigeria, Iraq, Mongolia, Netherlands, Macau, Morocco, Sri Lanka, Belarus, Costa Rica, Argentina, Iran, Libya, Slovakia, United Arab Emirates, Nepal, Vietnam, Poland, New Zealand, Ecuador, Azerbaijan, Lebanon, Mexico, Croatia, Finland, France, Singapore, Gambia, Bolivia, Romania, Russia, Mexico, Australia, Norway, Bahrain, Malaysia, India, Iran, Venezuela, South Africa, Gabon, Denmark, Canada, Portugal, Egypt, Oman, Sweden, Peru, Angola, Greece, Algeria, United States, China, Bangladesh, Estonia, Japan, Italy, Ukraine, Trinidad & Tobago,Tunisia, Qatar, Germany, Bhutan, Nigeria, Poland, Brazil, Kenya, Colombia, Czech Republic, Ireland, Chile, Lithuania, Pakistan, Zimbabwe, Bulgaria, Puerto Rico, Spain, Switzerland, South Korea, Philippines, Jordan, Kazakhstan. Faridabad, Abu Dhabi, Pimpri-Chinchwad, Indore, Geoje-si, Toronto, Melbourne, Al Jubail, Dammam, Atyrau, Lagos, Jakarta, Moscow, Ho Chi Minh City, Ahvaz, Gurgaon, Manama, Jeddah, Colombo, Kuala Lumpur, Cairo, Karachi, New York, London, Ranchi, Calgary, Hyderabad, Kolkata, Pune, Bogota, Noida, Jamshedpur, Chandigarh, Ludhiana, Ahmedabad, Baroda, Tehran, Bhopal, Mexico City, Petaling Jaya, Jaipur, Perth, Ulsan, Muscat, Gimhae-si, Dallas, Haryana, Mumbai, Howrah, Coimbatore, Edmonton, Nashik, Thane, Bengaluru, Caracas, New Delhi, Houston, Seoul, Vung Tau, Nagpur, Riyadh, Rajkot, Algiers, Santiago, Ernakulam, Singapore, Navi Mumbai, Ankara, Thiruvananthapuram, Lahore, Montreal, Kuwait City, Rio de Janeiro, Hong Kong, Sydney, Kanpur, Milan, Istanbul, Bangkok, Doha, Aberdeen, Dubai, Chennai, Port-of-Spain, Madrid, Chiyoda, La Victoria, Vadodara, Sharjah, Brisbane, Los Angeles, Visakhapatnam, Al Khobar, Secunderabad, Hanoi, Courbevoie, Granada, Busan, Surat.